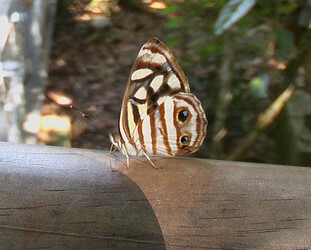 The genus Dynamine is widespread in the neotropics. 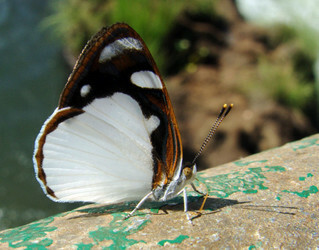 Most species are small, and many bear a superficial resemblance to pierids. Page: Tree of Life Eubagini Burmeister 1878. Dynamine Hübner 1819. Eubagis Boisduval 1832 currently viewed as a subjective junior synonym. Authored by Niklas Wahlberg and Andrew V. Z. Brower. The TEXT of this page is licensed under the Creative Commons Attribution License - Version 3.0. Note that images and other media featured on this page are each governed by their own license, and they may or may not be available for reuse. Click on an image or a media link to access the media data window, which provides the relevant licensing information. For the general terms and conditions of ToL material reuse and redistribution, please see the Tree of Life Copyright Policies.